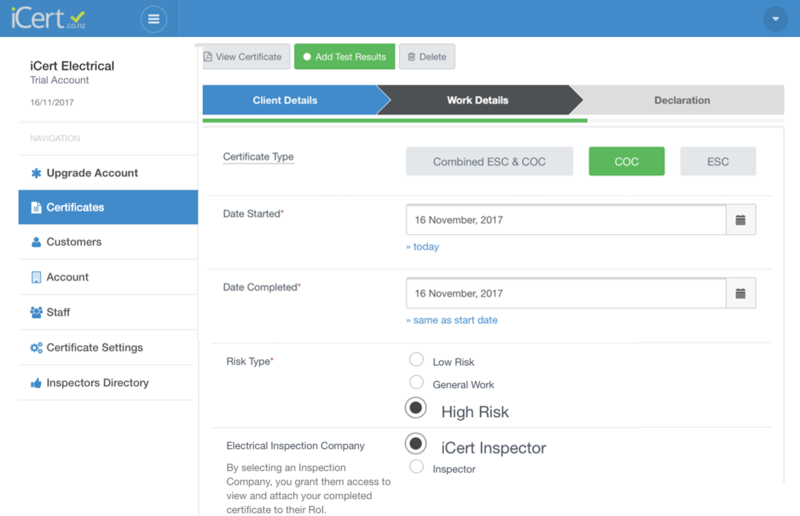 iCert, your complete Compliance Platform! iCert takes Compliance seriously, that’s why we're always looking at ways to improve and enhance our Compliance Platform, making sure you're more than covered. We are super excited to let you know, that we are now offering ROI's within our iCert Platform, keeping Compliance completely paperless & easily accessible, all in one place! ​ROI's & COC's have now become completely paperless. ROI's are attached to relevant COC's on your iCert Dashboard, where you can view & mail them easily. 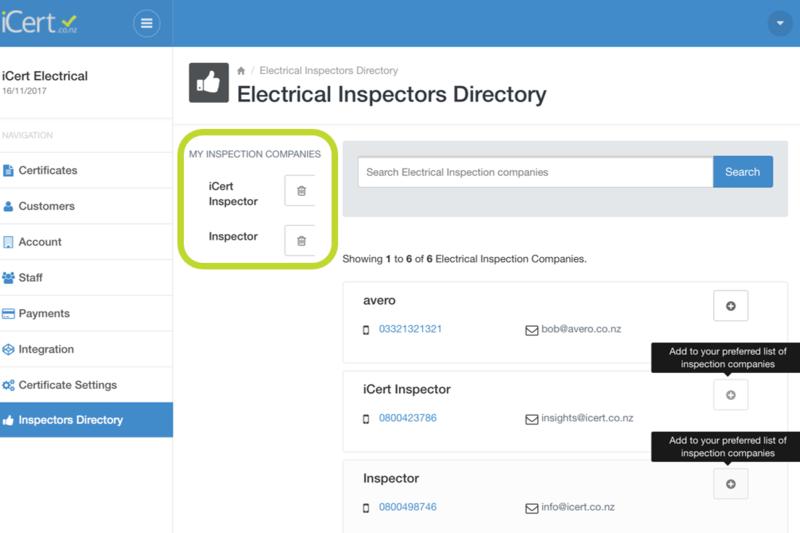 Click the "+" button next to the Inspector/ Inspectors you use or are likely to use. 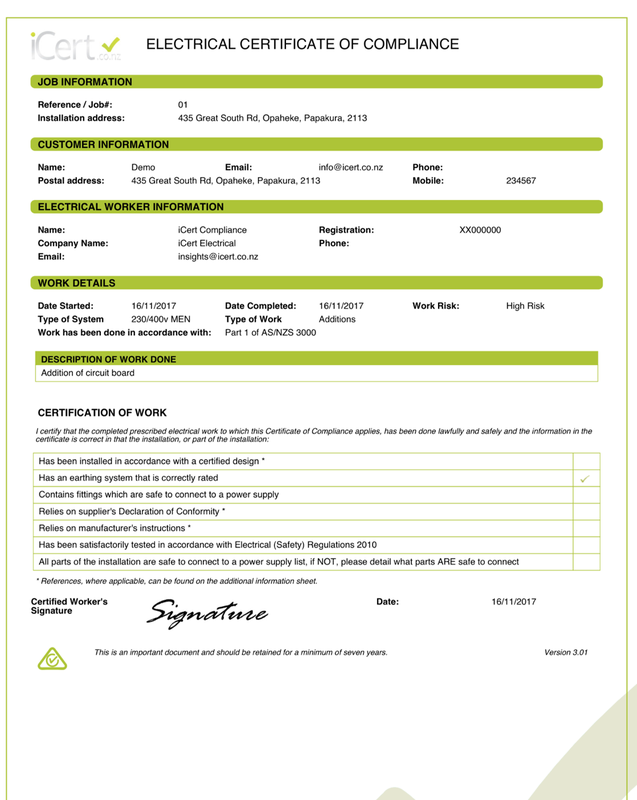 This/these are then listed under "My Inspection Companies"
- click "create new certificate"
- fill in client details in the certificate as prompted…..
- choose "Risk Type" , when you click HIGH RISK, your choice of Inspectors drops down for you to choose which company is doing the work & this then shares this COC with them, once completed. 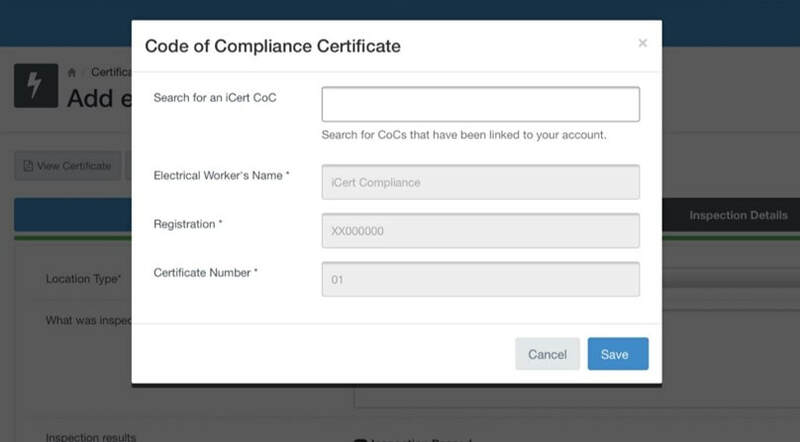 ​5: Complete the certificate & notify your iCert Registered Inspector of your certificate number. 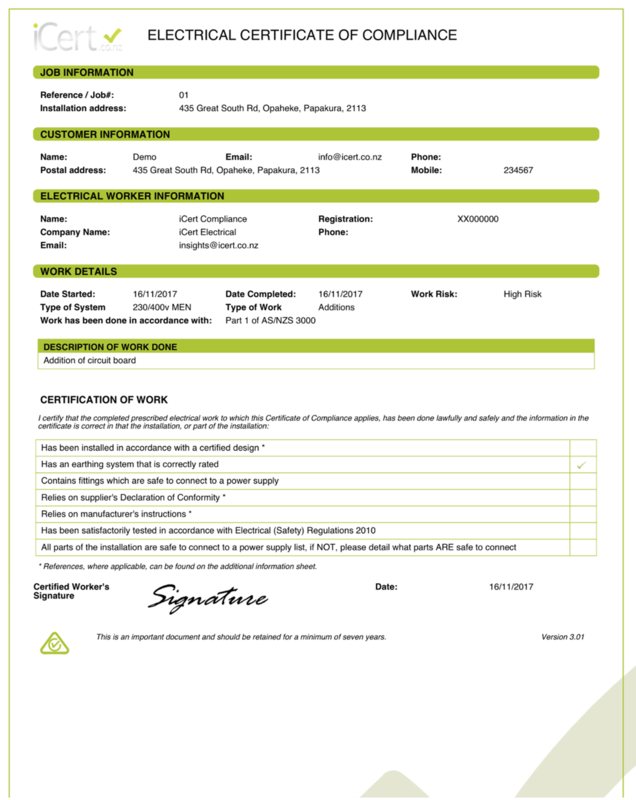 Your Inspector can then enter this certificate number into his ROI to pull your certificate details through. ​​6. Once your iCert Registered Inspector has completed the ROI, you will see it on your Dashboard. This will appear as “View ROI” below the COC. ​You can then click on “View ROI” , this will open the ROI cert as well as the COC . All easily stored in one place, keeping compliance simple. ​3. Click “SAVE” to update these details. This is where Office Admins can help share your workload, by pre-creating the certificate. 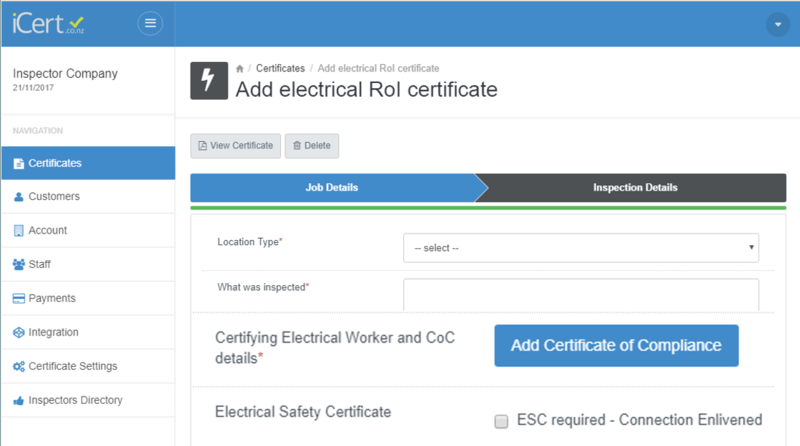 - “Certifying Electrical Worker and COC details” click "Add certificate of Compliance"
The COC will be attached to the ROI on page 2. 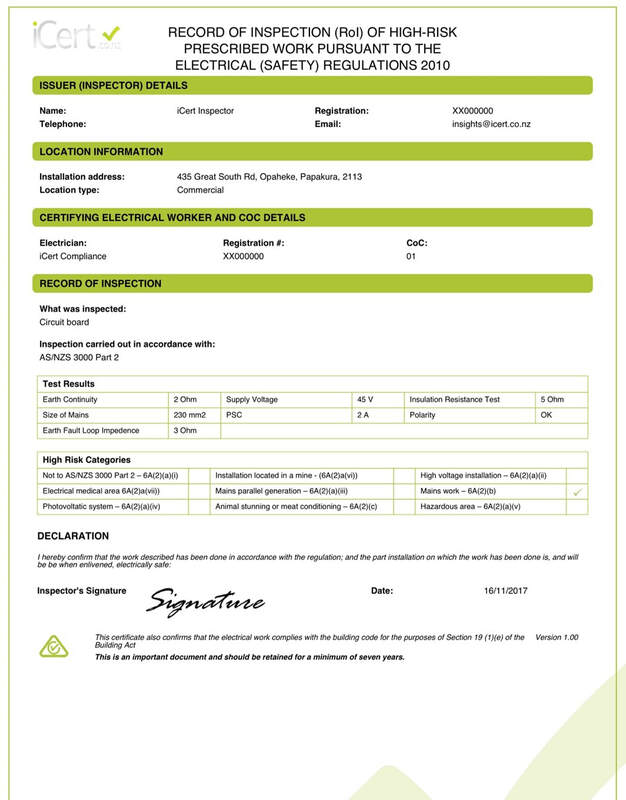 Your iCert Registered Electrician can then view the completed ROI within their iCert account. Easy as!